The strategy is quite simple, so not only professional traders can use it, but beginners as well. You don’t need any complicated technical indicators: you only need a standard price chart and some attention. This strategy shows maximum efficiency on the Verum Option trading platform, as it offers user-friendly interface, numerous market assets, and « japanese candlestick» chart. Which options to trade? The most suitable options for trading are Pairs, classic Binary, or short-term 60 Sec with maximum expiration time (5 minutes). What investment is recommended for every position? It depends on your deposit amount, but it is recommended to invest not more than 7% of your total deposit amount. What is the essence of the strategy? It is to seize the moment of the strongest trend. If you get to know the price direction of a market asset for the nearest time, you can get profit with minimum efforts. 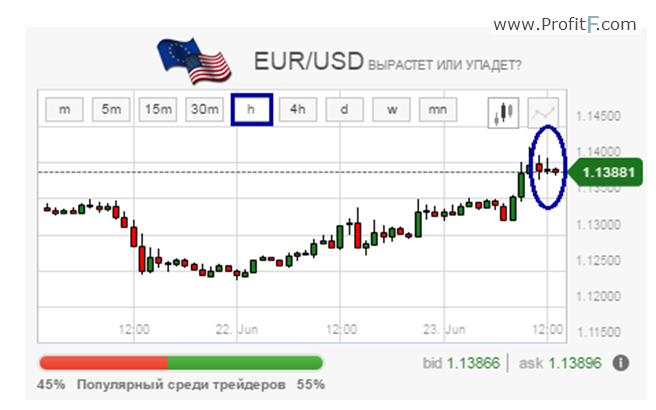 М5 chart shows the closest perspective of the price movement, М15 chart shows short-term perspective, М30 chart helps to understand mid-term price direction, and Н1 chart shows long-term direction. The essence of the charts is the last candlestick on every chart to be of the same color: green or red. That is, the signal to open a buying option is «twin» candlesticks on all 4 charts — all 4 candlesticks must be green. And to open a selling option, you need to make sure the last candlestick on every chart is red. So why is it true? Because if we see the same trend (rising or descending) on every timeframe, it means the trend is quite strong, and we can make profit with no substantial risk. Attention! The rule of the strategy is: if even on a single chart the last candlestick differs, do not trade. You need to wait until all the 4 candlesticks are of the same color. 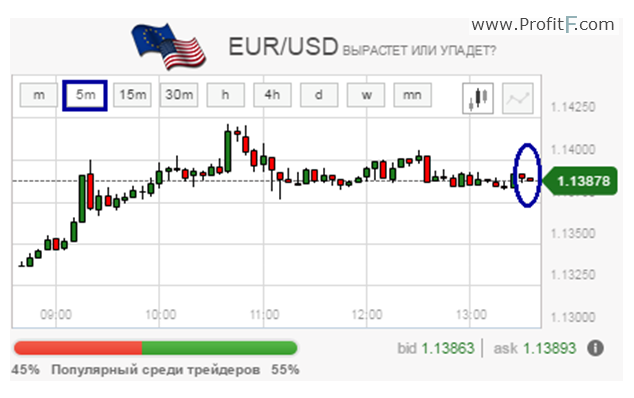 A position opened with such «bearish» signal has every chance to bring profit. 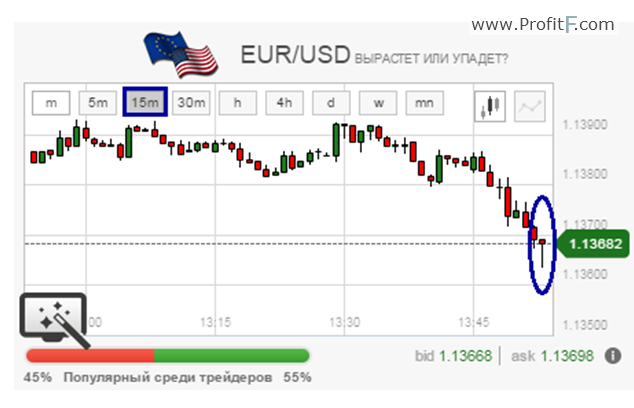 In this way, you can profit from trading binary options fast and easy. 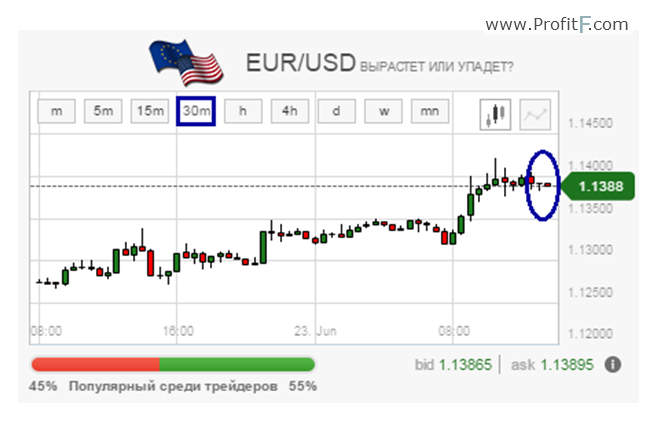 Can you create an indicator on 1m Chart, which gives green or red signal if M5, M15, M30, 1H all are same color? have you got the indicator? Hi, can you tell if you wait for candles to close or not? The current candles can always change colours so would you wait until ALL the candles are closed before taking a trade? if so, then you would only be able to take trades once per hour, when the 1H candles closed.